September Quotes i.e. searching for some funny and cute quotes about month of September. If yes, now you don't need to search for them anymore. As here I have compiled down some of the best September quotes and sayings. Just hope you will like the quote compilation and welcome this month of September by sharing some of quotes from here. 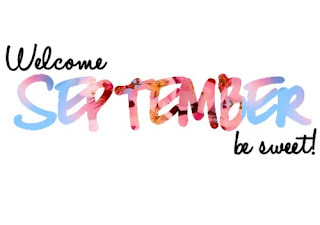 Keep Calm and Hello September! Hello September! Please be good to me. But now in September the garden has cooled, and with it my possessiveness. The sun warms my back instead of beating on my head ... The harvest has dwindled, and I have grown apart from the intense midsummer relationship that brought it on. September morning still can make me feel this way. A late summer garden has a tranquility found no other time of the year. For summer there, bear in mind, is a loitering gossip, that only begins to talk of leaving when September rises to go. There is dander in the summer moon above. Or loose you to a summer love. Roses flake from the wall. The smoke of harmless fires drifts to my eyes. Hello September! Please be nice.